With careful wedding style: wedding dress, bridal haircut and wedding make-up you can achieve a remarkable look. Basically, is up to you to decide what kind of look you would like to achieve and what kind of wedding hairstyle and make-up will make you gorgeous. But, if you come to us already with an idea of your final look, our hairstyle and make-up professionals will make sure that the result will be amazing. They will also be ready to give you some advice or suggestion, which can lead to the perfect final result. When you think about your wedding, you should think of it as a whole. First of all, you should decide on the theme and which colours you would like to use for your wedding. These will be the guiding markers when planning your special day. From flower arrangements in church or in the wedding hall to the flower petals for good luck, the bridal bouquet, the table decoration, the chair decor and, last but not least, the wedding rings. Keep in mind the overall vision when selecting your wedding decorations to make your dream a reality. You should carefully think about what kind of flowers you would like to have in the flower arrangements and what colours they need to be. We live in a world where money can buy almost everything, so if you require exotic flowers in the middle of winter, it can be done, but think about that one carefully. Is it really worth the money? The most beautiful flowers are the ones which are in season at the time of your wedding. However, this theory doesn’t work in winter, when the only flowers are frozen ones! But with our help, suitable beautiful flowers will be found, even for a wedding in winter. Elegant, beautiful wedding hairstyles and haircuts for bride and groom will be provided by a local hairdresser. They are of course open for your wishes and desires. If you have a photo of our dream wedding hairstyle, please don’t hesitate to show it. As the wedding day does not allow any mistakes, we will do a hairstyle trial a day or two before the big day. The same goes for wedding make-up. It will be done by a local acknowledged expert. Usually, she meets with the bride a couple of days before the wedding. And when she sees the wedding dress and the bride, she knows what kind of make-up will make the look of the bride perfect and complete. Your complete look will be supplemented with bridal bouquet, which will be made based on your wishes and according to your wedding style. 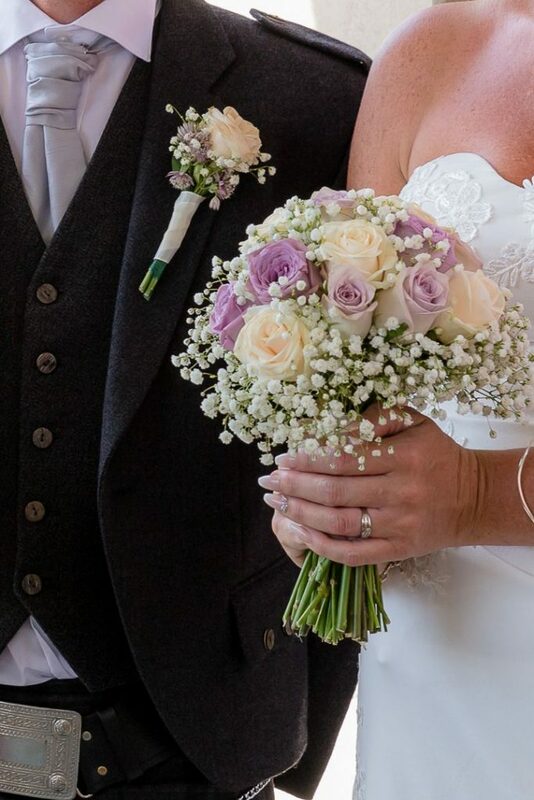 Local florists are able to create a bridal bouquet based on a photo or if you tell them the desired colours and types of flowers. Take into account that you also need to consider the rings for your perfect wedding. If you decide to buy them in Slovenia, you’ll have the option of choosing between some well-known jewellers or local designers, who will make you really unique and special wedding rings. 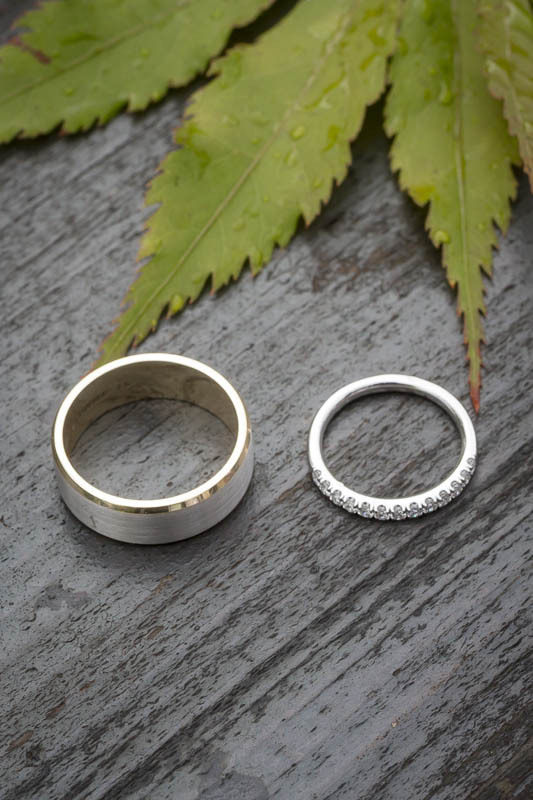 If you would like to give your wedding rings a touch of your family tradition, you can bring some old family gold (which is not worn anymore, for example, rings, earrings, bracelets worn by your relatives for a similar special occasion, etc.) This could also be recycled into new, unique wedding rings.